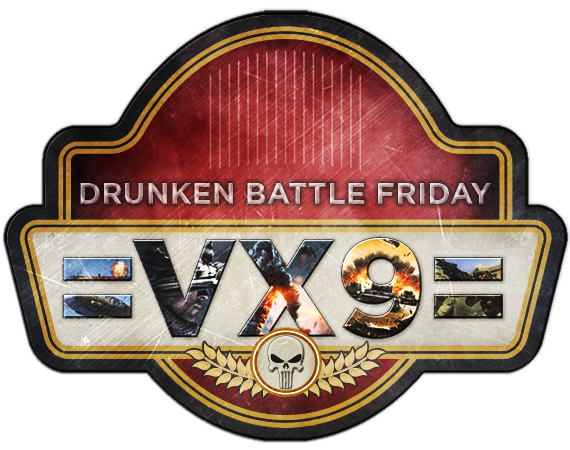 =VX9= Gaming Community - =VX9= Drunken Battle Friday! Join us for DBF this Friday! GOLF WITH YOUR FRIENDS @ 9:00PM EST - Join India for some time on the course, one round of 18 holes will be played and possibly a second depending on how long the first round takes. Follow link below for more info and India's raffle. FORTNITE @ 9:00PM EST - This week Shadow Company will be playing Fortnite! Win a game, take a screenshot and submit it to have a chance at winning a prize! Check out the link below for more info as well as to enter the Shadow Company raffle. Prizes available this week are: game code, decal and koozie.